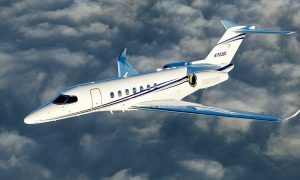 Textron Aviation announced that the third aircraft in the Cessna Citation Longitude flight test program recently completed its first flight. Test pilots Corey Eckhart and UJ Pesonen, along with flight test engineer Mike Bradfield, successfully tested various systems throughout the one-hour and 40-minute flight. The aircraft will be used in the program for avionics and systems development, as well as collecting flight simulator data. 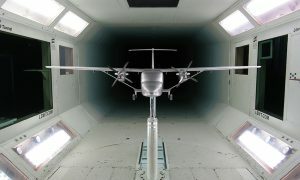 In addition to the three flying test articles, the company has started assembly line flow in the company’s east campus Plant IV manufacturing facility, with the first four production Longitude aircraft currently in progress. These aircraft are being built using the same advanced tooling and manufacturing techniques that were applied on the Longitude flight test articles, which drives precision and quality on the assembly line. The third aircraft joins the test program less than six months after the first Longitude flew in October 2016. To date, the first two aircraft in the flight-test program have completed 125 flights, logging more than 250 hours. Certification of the Citation Longitude is expected by the end of this year.